First, let’s dive into my ever-growing wishlist, and some pieces I think you might love too. This particular collection that I curated has three qualities that are driving my design aesthetic at the moment: natural materials, neutral colors, timeless style. We’ve bounced around (understatement of the century) from house to house and I’m realllly hoping this Ojai house is where we’ll settle into some roots. I’ve reflected back on our past homes and the design choices I made to help inform the remodel process and what I really flushed out from that is that I am someone who is wildly vulnerable to trends. I’ll hop on a design bandwagon in two seconds and ride it all the way to chevron wallpaper if that’s what it demands. As such, I cringe a little at some of my past choices. So for the Ojai house I’m really focused on timeless design choices, trying to create a neutral base that I can fill with pops of neon should the trend return and sweep me away without having to rethink major pieces. I also looked at what design styles I’ve never stopped loving. From the get go I’ve been drawn to modern shapes, warm woods, clean lines. I will be decidedly particular about what comes into the next house, making sure I’m not being swept away by a trend, especially when it comes to furniture choices. Remember those bookshelves I mentioned in our LA house that were walnut and so stunning that I don’t think there was ever a person who stepped into our home that didn’t comment about them? We moved them with us into our Palm Springs home had them professionally painted white – and they were again a favorite feature in our home there (seen in before and after below!) After that they came with us to our San Diego house and were divided up and functioned as shelves in Lou’s office for a couple of years until we had to move things around to make room for Teo. They’re now at our neighbor’s house where they’re filled with children’s book and toys- and they are still making me happy all of these years later! That’s the thing I love most about Room & Board pieces- they are such high quality that I know there’s no landfill in the future for them- they will be passed from generation to generation, cherished for years and creating the beautiful backdrop to lives and memories. Ahhh, that just gets me. And that is EXACTLY what I want in our next house- furniture that stands the test of time. And that is exactly what Room & Board is to me- a collection of furnishings that will never feel dated, will always feel current, sophisticated, and refined. HALLELUJAH! WAIT! It gets better! Not only does Room&Board produce some of the most beautiful furniture around, they do it with a social conscience. That’s right, they’re involved in an initiative with the USDA Forest Service and Humanim, a social services enterprise based in Baltimore, to help employ people with barriers to employment and repurpose the wood from abandoned row homes that would otherwise end up in a landfill to create furniture and home decor. OMG that makes my heart happy! Please, please watch the video below and be reminded that there is WAY more good in the world than you may be inclined to think, and it’s entirely possible for large companies to do incredible things and give back to our communities! Warning- it might make you tear up a bit or maybe I’m just an emotional sap who is especially vulnerable to tears when I see people being kind to other people. Love this article. 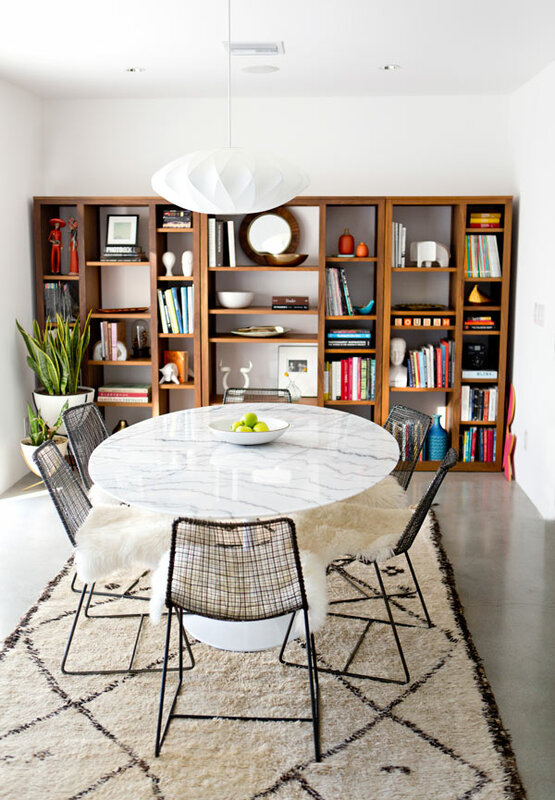 I love Room & Board, too – have bedroom furniture, desk, dining table, lamps from them. I like the “grown up” reference. Cool stuff … hope the update of the home goes well. Thank you for sharing. Love the chairs so much!